If your busy schedule has left you little time for planning a special treat for your sweetheart, you still can make a decadent dessert your valentine will love. 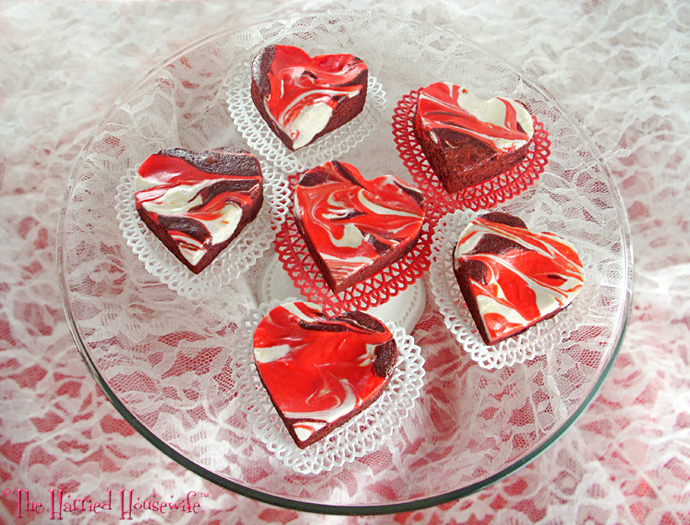 Perfect for those who are short on time, these homemade confections will go straight to your loved one’s heart. By embellishing packaged brownie mix with cream cheese, red food color, and a few pantry staples, it’s easy to whip up a moist and colorful chocolate treat swirled with the yummy taste of cheesecake. To make them extra special, set on decorative doilies and arrange on pretty platters like these Anchor Hocking Isabella Platters. So go ahead and give it a whirl. After all, rich confections made fresh from your kitchen will guarantee you a sweet place in your valentine’s heart forever. Happy Valentine’s Day! Preheat oven to 350 degrees. Line a 9×13-inch baking pan with foil, letting ends extend beyond edges on 2 sides. Coat foil with nonstick cooking spray. In a large bowl, combine brownie mix, cocoa powder, vegetable oil, coffee, 1 1/2 tablespoons food color, vinegar, and eggs. Stir with a wooden spoon until mixed; spread in prepared pan. In a medium bowl, combine cream cheeses, egg white, and confectioners’ sugar. Beat with an electric mixer until smooth. Remove 1/2 of the batter to a small bowl; stir the remaining 1 teaspoon food color into this batter. Drop plain batter by tablespoons randomly onto brownie batter. Drop red batter in the same manner. Using a butter knife, swirl through the batters to create a marbled effect. Bake until a toothpick inserted in center comes out clean, 30 to 35 minutes. Cool completely. Refrigerate 30 minutes. Remove brownies by lifting foil ends; place on a cutting board. Remove foil; use a cookie cutter to cut heart shapes. Makes 16 large heart-shaped brownies. This recipe and a recipe for Filet Mignon with Mushroom Sauce can be found here. Fudgy brownies are good enough on their own, but the addition of a slightly spiced pumpkin cheesecake mixture takes them over the top. 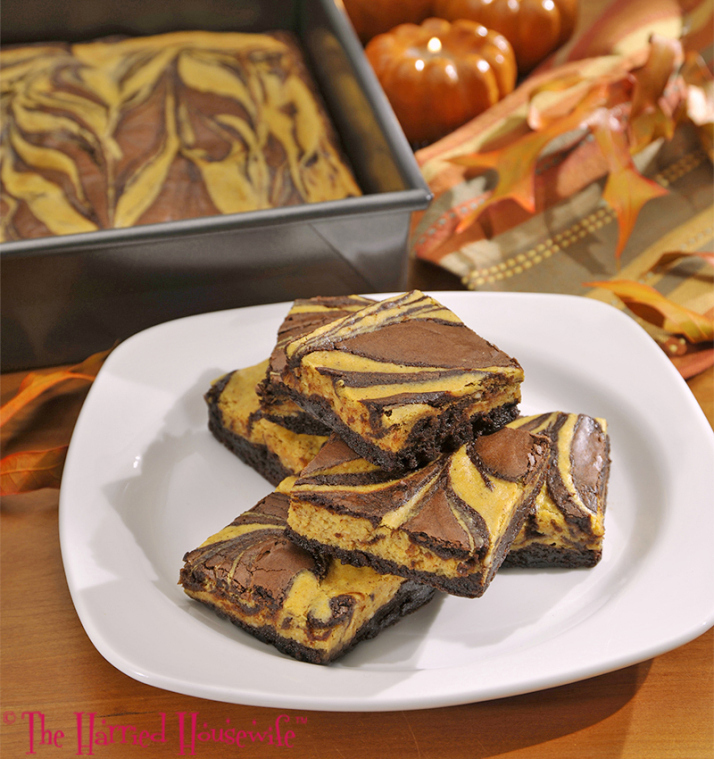 Swirled to tasty perfection, these decadent brownies are just right for fall get-togethers. While they look fancy, they actually are easy to prepare. And the nonstick coating on baking pans like this one from Oneida means you don’t have to use a lot of nonstick cooking spray to ensure the brownies are released from the pan with little effort. For flawless squares and ease of cutting, refrigerate brownies for a least an hour. Cut them in half vertically down the center, then use a large spatula to remove each half to a large cutting board. Cut into squares. With exceptional bakeware and delectable ingredients, scrumptious brownies with the pleasing taste of pumpkin cheesecake can be on your table in no time. Preheat oven to 350 degrees. 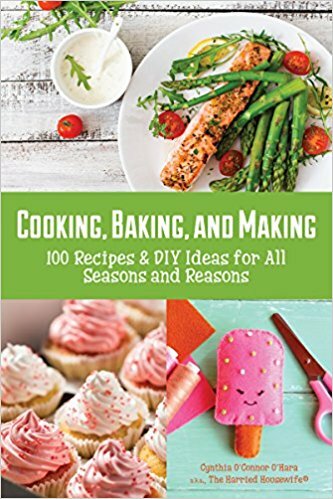 Lightly coat a 9×13-inch baking pan with nonstick cooking spray. In a large bowl, combine brownie mix, vegetable oil, coffee, water, and 2 eggs. Stir with a wooden spoon until mixed. Spread 3/4 of the batter into prepared pan. In a medium bowl, combine cream cheese, pumpkin, confectioners’ sugar, cinnamon, cloves, ginger, and the remaining egg; beat with an electric mixture until smooth. Drop pumpkin mixture by heaping tablespoons randomly onto brownie batter. Drop the remaining brownie batter in the same manner. Using a butter knife, swirl through the batters to create a marbled effect. Bake until a toothpick inserted in center comes out clean, 29 to 34 minutes. Cool completely on a wire rack. Refrigerate at least 1 hour before cutting. Makes 24 brownies. 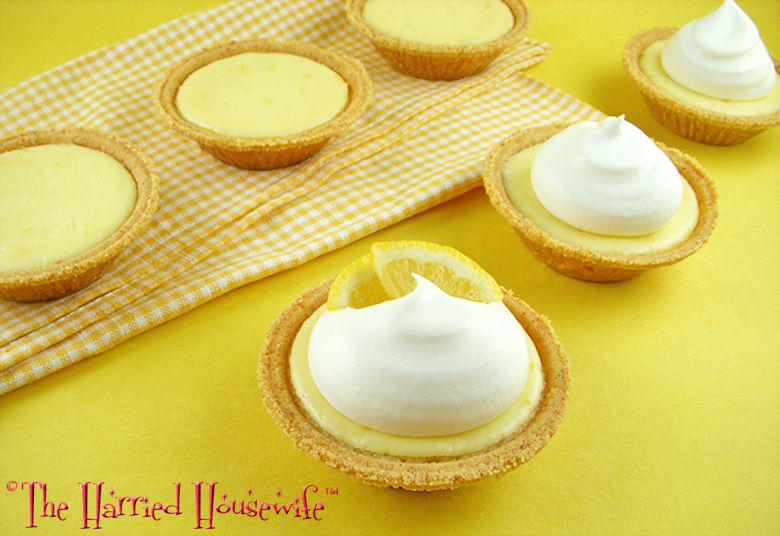 A refreshing treat everyone will enjoy, Lemon Cheesecake Tarts are a delightful addition to any get-together. Whether it’s a finale to dinner or to pair with afternoon tea, these miniature goodies will appeal to both children and adults. Ideal for a crowd, it’s easy to double or triple the recipe. And they are great for making ahead. Prepare up to four hours in advance and store covered and refrigerated. Simply add a dollop of whipped cream and lemon slices before serving, if desired. With minimal ingredients and a short amount of time spent on preparation, these zesty tarts will serve a multitude of purposes—while being simple to prepare. Enjoy! Preheat oven to 300 degrees. Place crusts in their foil pans on a baking sheet. In a large bowl, beat cream cheese with an electric mixer until creamy. Add sugar; beat until smooth. Add egg and lemon juice; beat until combined. Stir in lemon zest. Divide batter among crusts. Bake until centers are just set, 20 to 22 minutes. Place tarts on a wire rack. Cool completely. Refrigerate until thoroughly chilled, about 2 hours. Remove tarts from their disposable foil pans, if desired. Top with a dollop of whipped cream, if desired. Garnish with lemon slices, if desired. Makes 6 servings.